This one-day program focuses on the needs of the end user for safe work practices in regards to Fall Protection systems. Emphasis is placed on equipment techniques that instill a proactive approach to Fall Protection Safety, as well as taking safety measures that can eliminate or mitigate fall hazards. The responsibilities of both employer and worker are covered, as well as the regulations and standards that apply when working at height. Need for fall protection training. Need to use and care for fall protection equipment. Regulations governing fall protection in Canada. Human and financial costs of not using fall protection correctly. Four components of a complete fall protection system. Calculations required for determining minimum clearance requirements. Maintenance and use criteria for fall protection equipment. 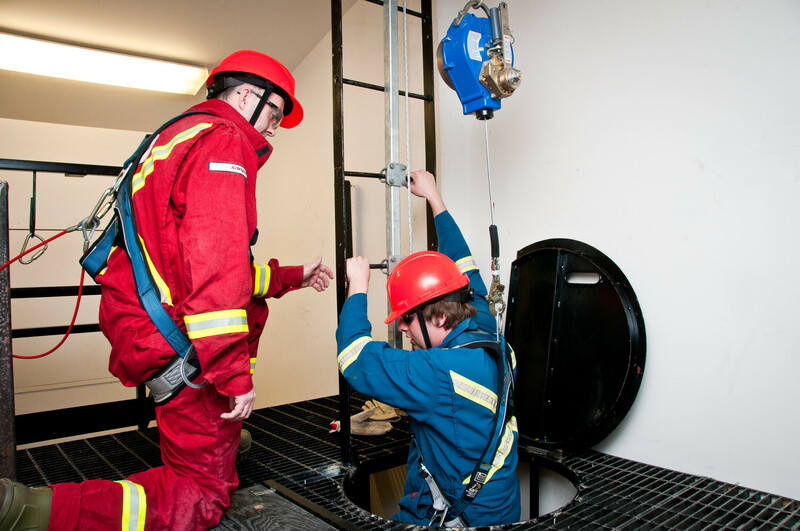 Requirements of developing a fall protection program. Post fall and Rescue planning. Application of learned knowledge to create and use appropriate fall protection systems.